High Peaks Pure Earth felt inspired after the “RESPECT” rap video to translate “Gangchenpa” by Dolma Kyap, the contemporary classic song that was sampled on the RESPECT track. Dolma Kyap is a very popular and well-respected singer from Amdo, known for his strong voice and integrity. He has become so renowned for this song that he is popularly known as “Gangchenpa Dolma Kyap” (not to be confused with imprisoned writer and teacher, Dolma Kyab). This recording of a different performance of “Gangchenpa” has been viewed over 15,000 times on YouTube and the VCDs of the Rebkong 2006 performance are extremely popular and are viewed all over Tibet. Interestingly, “RESPECT” samples a popular and culturally iconic Tibetan song called “Gangchenpa” by Dolma Kyap from 2006 that would be instantly recognised by any Tibetan listener, the chorus of “RESPECT” is directly lifted from “Gangchenpa” and the last line of the chorus is even sung in the original Tibetan. Literally translated, “Gangchen” means Land of Snows and a “Gangchenpa” is a person from the land of snows. 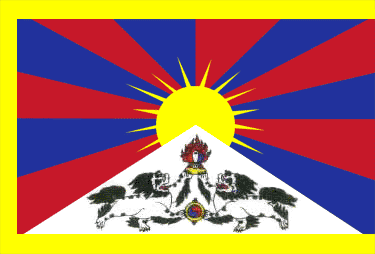 In the rap, Tibet is also referred to as “Kawachen”, another way to say “Land of Snows”. In Tibetan songs, particularly from around that time, Tibet was rarely mentioned by name, see this example in our earlier commentary and translation of the 2006 song “Mentally Return”. This music video of “Gangchenpa” is taken from a recording of a large-scale outdoor show staged by many Tibetan artists, including Dolma Kyap, that took place in Rebkong in July 2006, the same show was where “Mentally Return” was also performed. The song takes its time and slowly builds up to a crescendo, Dolma Kyap working the crowd up into a frenzy! Particularly emotional are the excited shouts from the crowd of “Gangchenpa!” right at the end of the video. “Gangchenpa” By Dolma Kyap from HPeaks on Vimeo. His presence and his spiritual energy are just dazzling. I am moved to tears and the hair on my neck stands up listening to the voice of this brilliant and charismatic artist. I’m really amazed that the Chinese haven’t thrown him in prison after a performance like this. Tashi delek!